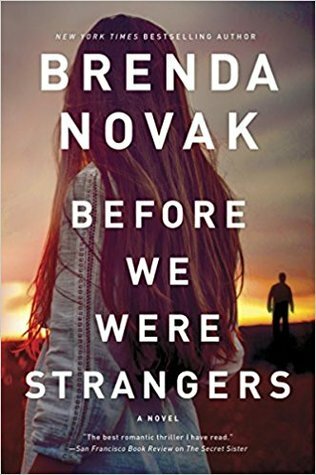 It was a shocking experience that jump-started Brenda Novaks bestselling author career. I caught my day-care provider drugging my children with cough syrup and Tylenol to get them to sleep while I was away, Brenda says. It was then that I decided that I needed to do something from home. However, writing was the last profession she expected to undertake. In fact, Brenda swears she didnt have a creative bone in her body. In school, math and science were her best subjects, and when it came time to pick a major in college, she chose business. Abandoning her academic scholarship to Brigham Young University at the age of 20 in order to get married and start a family, Brenda dabbled in commercial real estate, then became a loan officer. When I first got the idea to become a novelist, it took me five years to teach myself the craft and finish my first book, Brenda admits. I learned how to write by reading what others have written. The best advice for any would-be author: read, read, read. Brenda sold her first book, and the rest is history. Many of her novels have won or placed in contests such as the National Reader's Choice, the Bookseller's Best, the Write Touch, the Award of Excellence and the Beacon Award for Published Authors. Brenda and her husband, Ted, live in Sacramento and are the proud parents of five childrenthree girls and two boys. She juggles her writing career with her childrens softball and soccer games, field trips, carpool runs and homework sessions. When shes not spending time with her family or writing, Brenda is usually working on her annual fundraiser for diabetes researchan on-line auction held at her website May 1st May 31st. Her youngest son, Thad, has diabetes, and Brenda is determined to help him and others like him. She also enjoys traveling, watching sporting events and biking--she rides an amazing 20 miles every day!